The larger of the two yards from which Worthington Yards takes its name, this space offers residents an opportunity to socialize and allows the building to host events, arts-related or otherwise, inviting to non-residents. 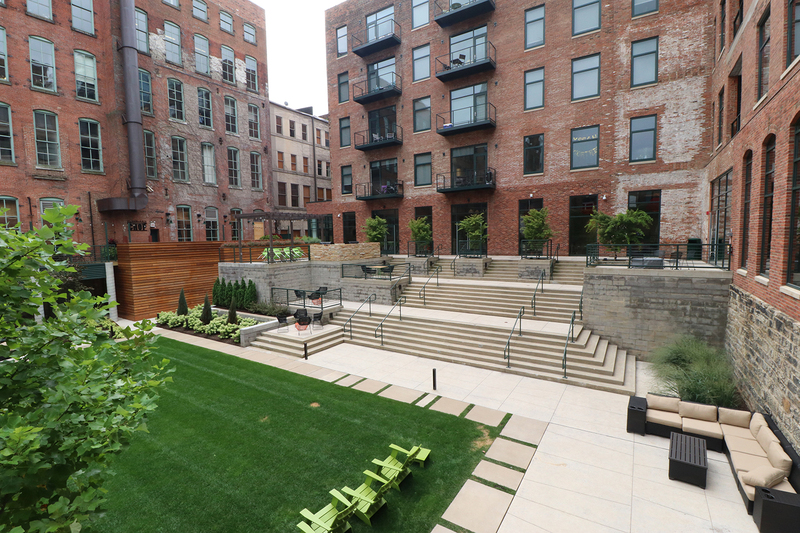 Worthington Yards in Cleveland’s stylish Warehouse District is just right for Heidi DuBois. After a year living in a rental in Chagrin Falls, the retired dental hygienist was ready for downtown and eager to take part in such a distinctive complex. She loves how art – largely local – permeates all five floors of the Johnson Court rental building. Art, above all, sets Worthington Yards apart. 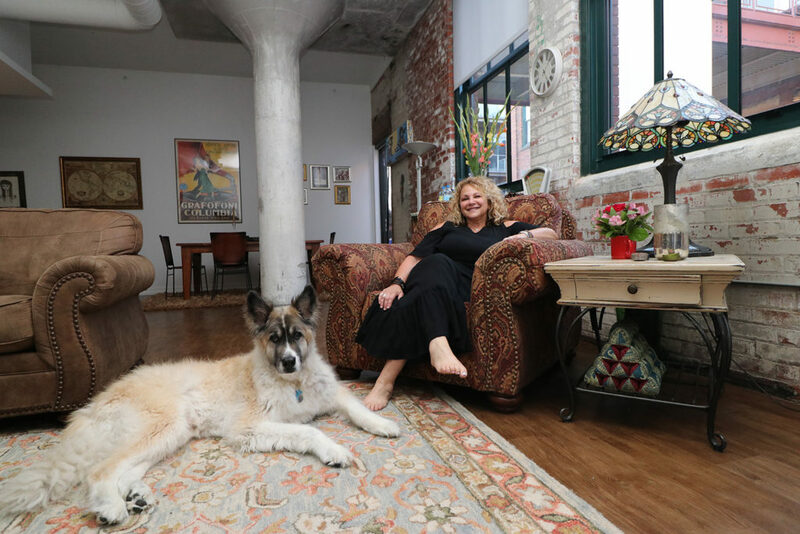 Heidi DuBois and her German shepherd-Akita mix, Boozer, who were among the first residents at Worthington Yards, relax in the living room of her fifth-floor apartment. After her divorce, DuBois left the family home in Beachwood for that three-story Chagrin Falls townhome, but after six months, DuBois was bored and ready for something different. The Mayfield Village native had never lived in the city itself. She’s a committed urbanite now. “I was leaving the Idea Center (at Playhouse Square) one summer day and got the crazy idea to start looking at places along the water,” she recalls. “I saw about eight different buildings from West 25th Street to Gordon Square, but was not feeling it. 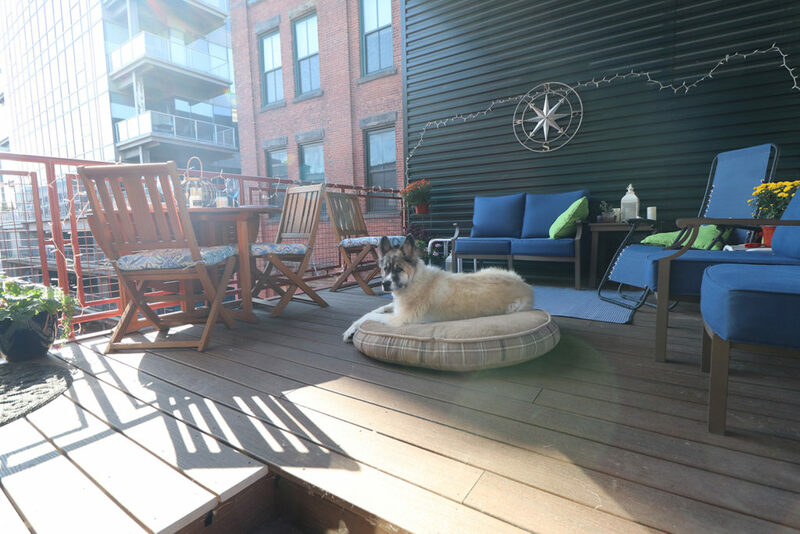 I needed parking, large rooms, an outdoor space, in-suite laundry, and most importantly, it had to be pet-friendly.” Her dog, Boozer, a German shepherd-Akita mix, is close to 15 years old and weighs 80 pounds. DuBois entered all her requirements into an apartment-finder app and Worthington Yards came up. It was love at first sight. And second. As one of the first tenants, DuBois has a special sense of ownership. Along with another Heidi – Heidi Quicksilver, interim vice president of technology at the Rock & Roll Hall of Fame – she watched Worthington Yards take shape. Like Quicksilver, DuBois is a professional. She travels a lot in her new career as director of education and strategic development for a New York-based dental company. DuBois particularly likes how her apartment links to an industrial bridge connecting to another Warehouse District building. She shares a deck with another tenant she knows from her suburban days. DuBois’ walk-out patio/bridge, which stretches north-south above Johnson Court. Worthington Yards is a repurposing of four buildings and a touch of a fifth that used to house the George Worthington Company, a hardware wholesaler serving 10 Northeastern and Midwestern states. The Worthington enterprise ceased in 1991. The complex was vacant for decades. In 2016, the Dalad Group of Independence, a long-time power in the Warehouse District, submitted plans to redevelop the sturdily built, red-brick Cleveland property. Total costs of the project were $30.8 million, including a $180,000 vacant property initiative loan and $5.6 million in historic tax credits, according to the city’s economic development department. The Dalad Group also owns and/or manages such other Warehouse District properties as The Hoyt Block and The Hat Factory. The art collector Neil Viny is president of Dalad Realty and principal, real estate, at the Dalad Group. Where it used to store hardware, Worthington Yards now houses 98 apartments. The 64 one-bedroom units of 711 square feet to 1,100 square feet rent for $1,250 to $2,200 a month. There are 32 two-bedroom units, and two three-bedroom units with rooftop views. There are 8-foot-high windows throughout. Ceilings are 10 feet high on floors one through four, 12 feet high on the fifth. The maximum monthly rental is $2,800. 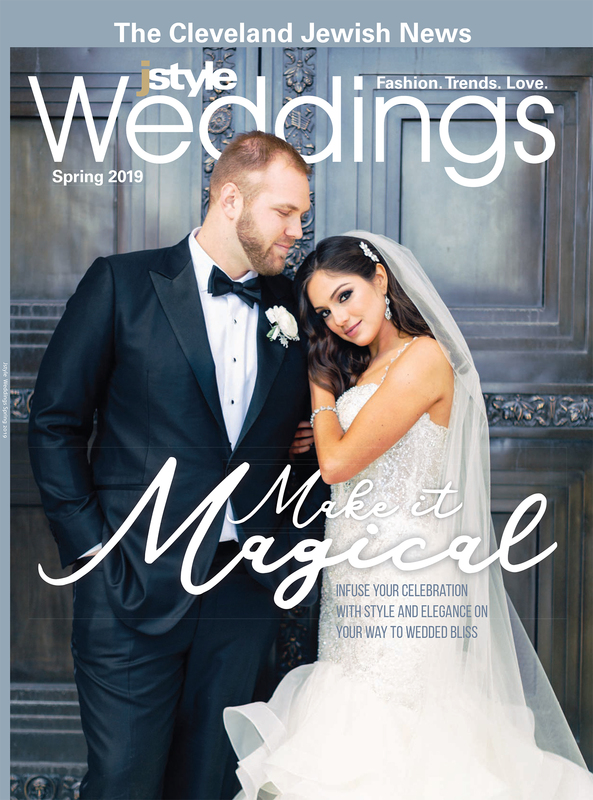 Worthington Yards stands apart for its green spaces – it’s the only downtown residential property with interior green space, the two residential courtyards at its heart – and the art Viny and curator Liz Maugans will continue to spotlight. Viny hired Maugans away from Zygote Press, a nonprofit artist workshop she headed for 12 years, in May 2017. Her charge: to develop an art collection for the 200,000-square-foot Worthington Yards, a complex that already has won awards from the American Institute of Architects and the National Association for Industrial and Office Parks. “Push-Pull 4” by Darius Steward, in the foreground, and in the background, from left, “Ripple Effect, Summer” and “River Delta” by Hilary Gent, were among the rotating pieces of art on view in Worthington Yards’ gallery. Like Zygote, an incubator for local art, Worthington Yards aims to enrich the area’s artistic conversation and be a magnet for artists and art lovers alike. When Viny met Maugans in November 2016, he learned that Zygote Press had promoted many different artistic styles and was involved in collections spanning those of Progressive Insurance, University Hospitals, Cleveland Clinic, the MetroHealth System and the Westin Hotel. He brought her on as a curator to help get local and regional art into the public spaces of Worthington Yards and “start initiatives” that connect art to its residents and the greater community. She started working for this for-profit in June 2017. 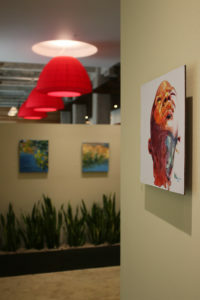 In programs like Art Ventures and Art Bar, she connects residents – and the public – directly to the artists, either at Worthington Yards or at their own studios. In January 2019, Maugans intends to roll out Resident Select, a collection chosen by the residents.